Parampujya Kirit Bhai ji was born on 21st July, 1962 in Porbandar (Gujarat). He received his BRAHMA-SAMBANDH (initiation) at the tender age of seven years, from his Guruji-Govind Raiji Maharaj. 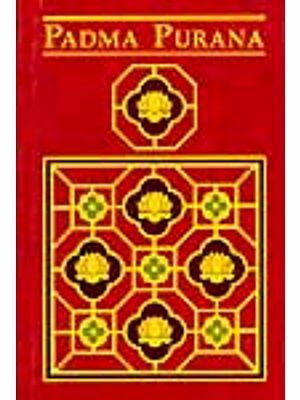 Thereafter, he left the shores of India and accompanied his family to the U.K. He completed his academic studies and obtained a degree in chartered accountancy from the University of Nottingham (U.K.). Bhai ji gave his first public discourse in London (1987) on the occasion of Hanuman-Jayanti. 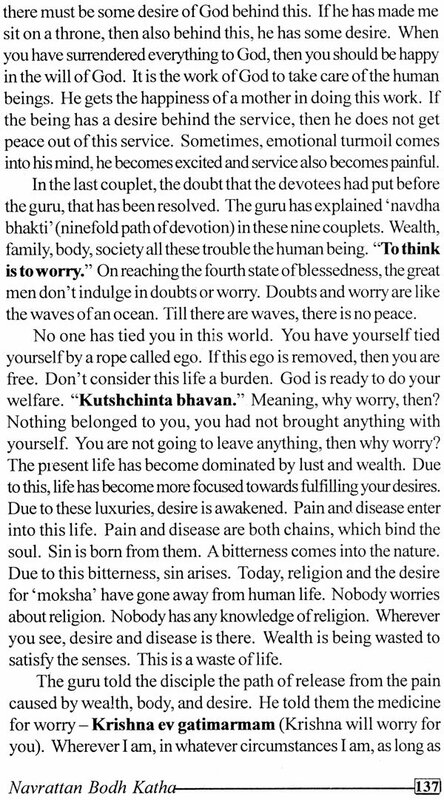 Ever since, he has been revealing the path of righteousness, devotion and self-realisation to spiritual aspirants all over the world. 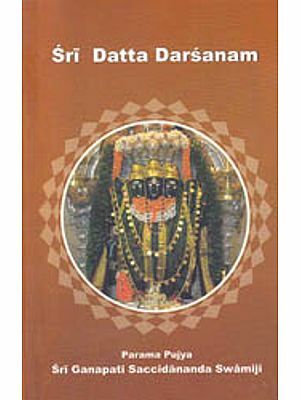 He has travelled widely in India, Mauritius, South Africa, U.S., U.K., Italy, Holland, Kenya and Bangkok to provide knowledge, enlightenment and supreme bliss to all the embodied souls, in this dark age of ignorance and nescience. 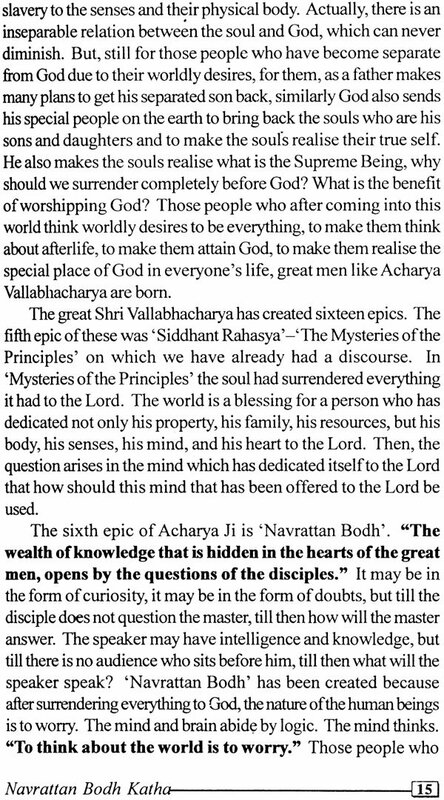 Shri Vallabhacharya ji has revealed the path of total surrender to Lord Shri Krishna, in His ‘Navrattan-Bodh’ or ‘The Nine Jewels of Realisation’. 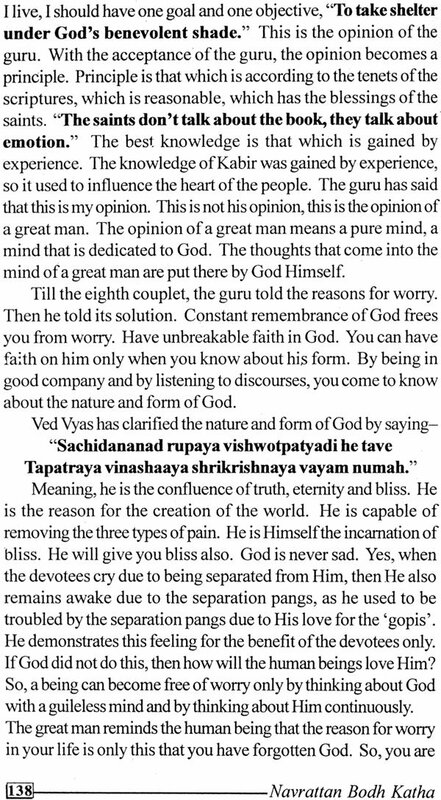 The doubts and worries which assail a disciple’s mind are wiped away by the benevolent Sadguru. A deotee sails through the nine forms of devotional-service (NAVDHA BHAKTI) to achieve the ultimate destination-serving the lotus-feet of Lord Shri Krishna. 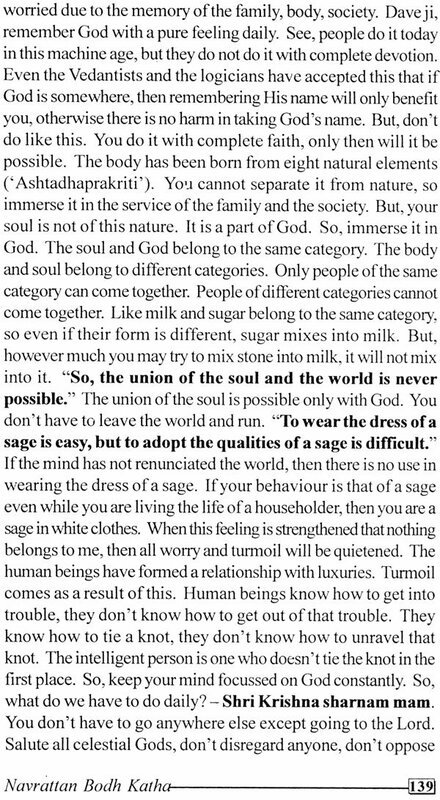 If service is contaminated with ‘ego’ and ‘attachment’, then it loses its purity. A servants’ sole concern is the happiness and satisfaction of his Lord and master. 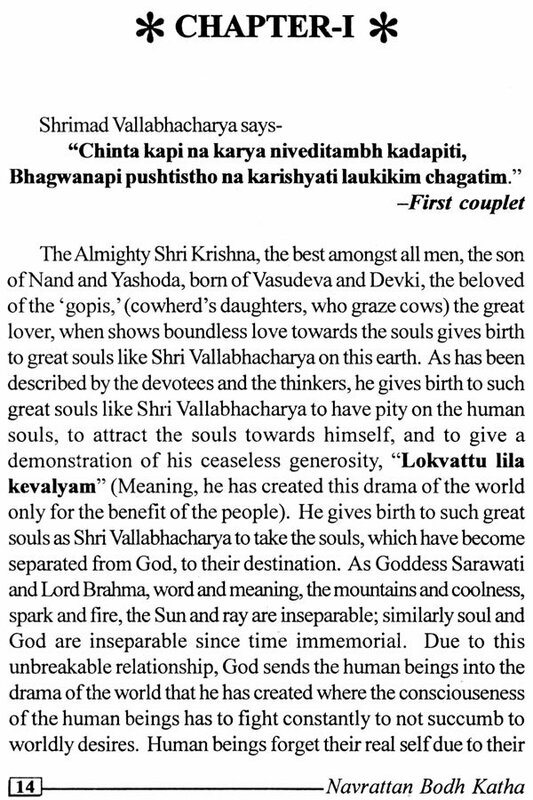 His ‘Dharma’ is Shri Krishna’s service. 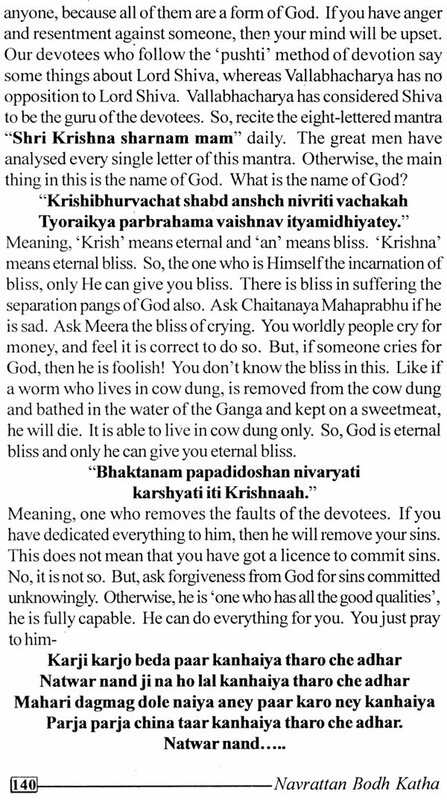 His ‘Arth’ is Shri Krishna’s name. 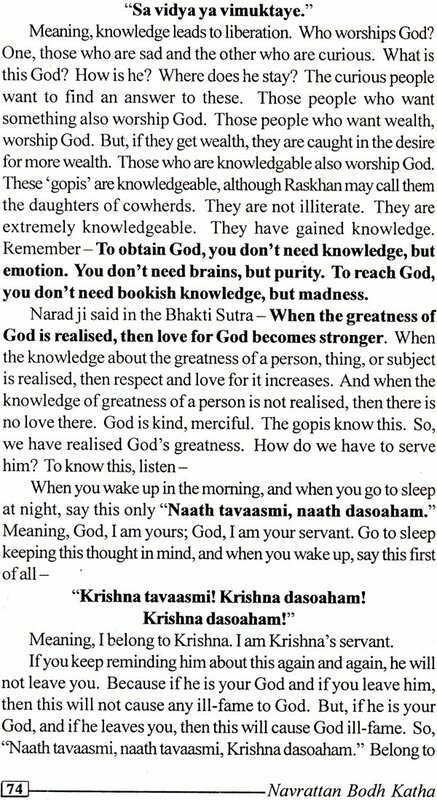 His ‘Kaam’ is Shri Krishna’s ‘darshan’, and his ‘Moksh’ is ‘belonging’ to Shri Krishna! !